Emma is part of a team of researchers and consultants working on scenario planning, megatrends analysis, risk analysis, decision support and strategy problems. Her academic qualifications from the University of Queensland and Swinburne University are in the fields of neuroscience, psychology and biochemistry. 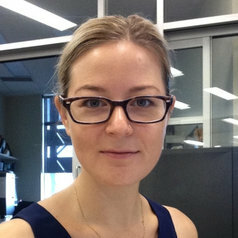 Prior to her work at Data61 she handled research ethics at the Queensland Brain Institute.